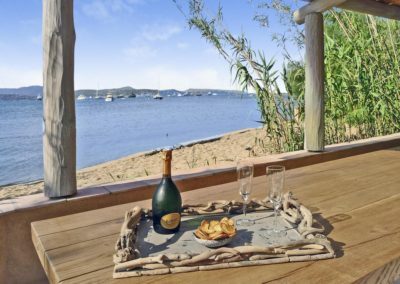 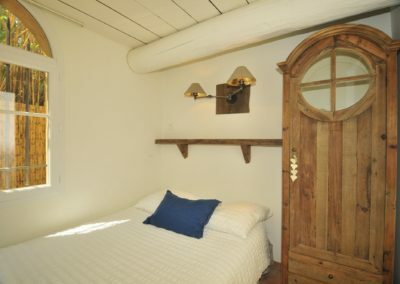 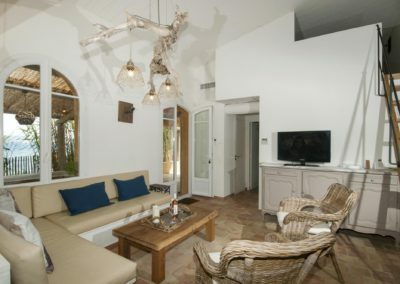 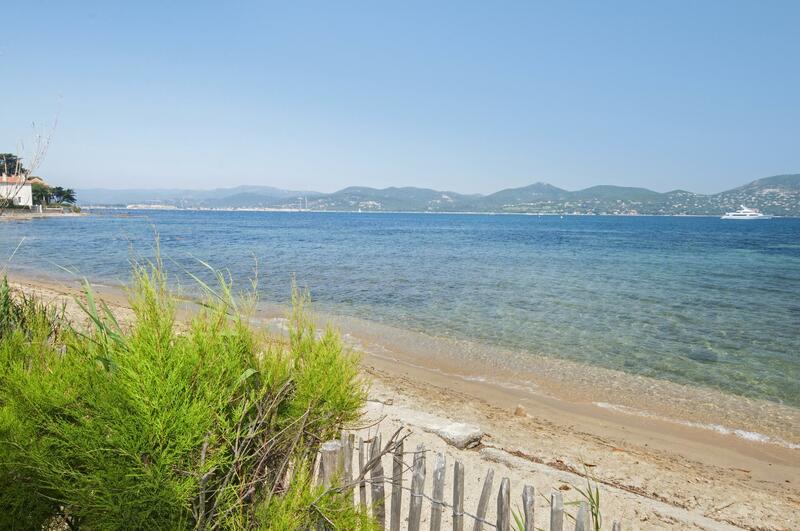 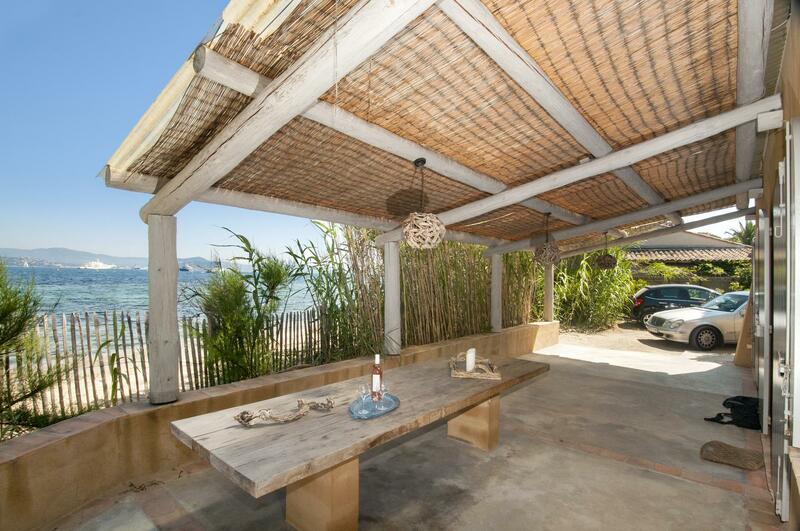 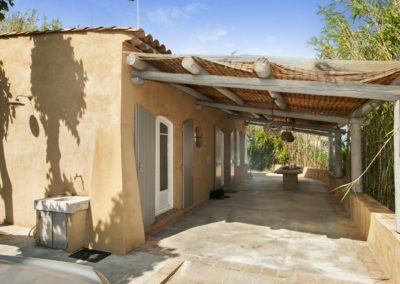 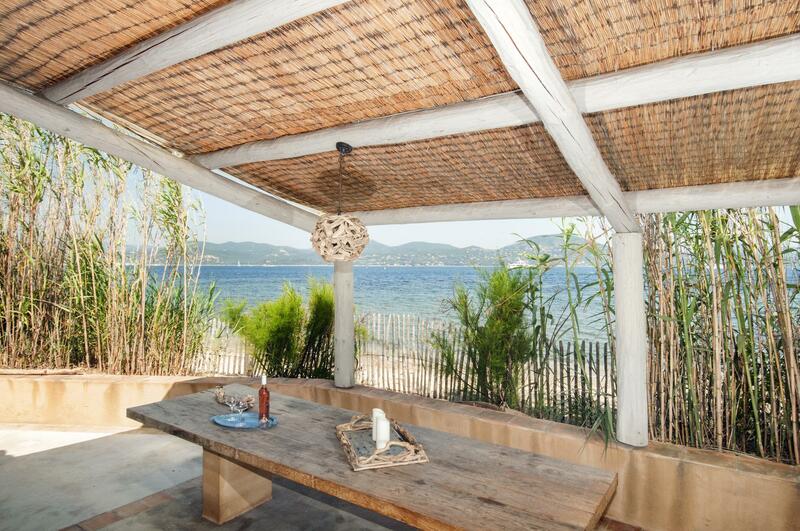 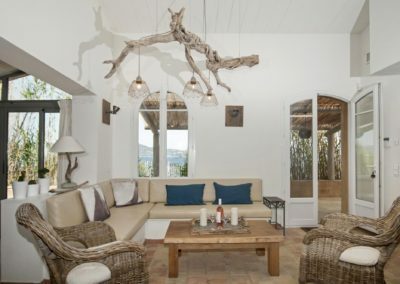 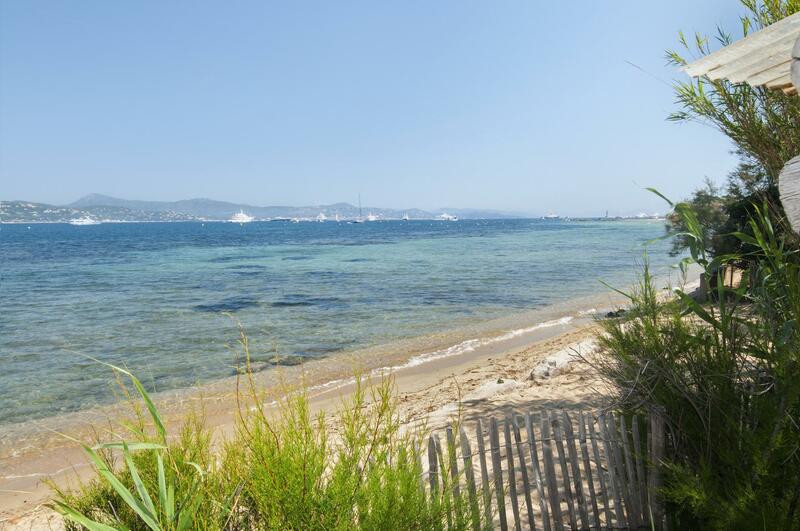 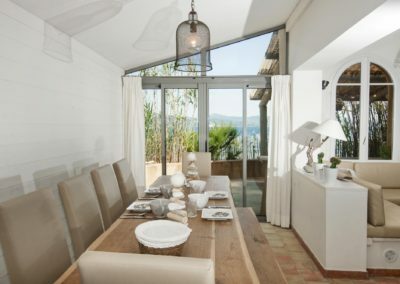 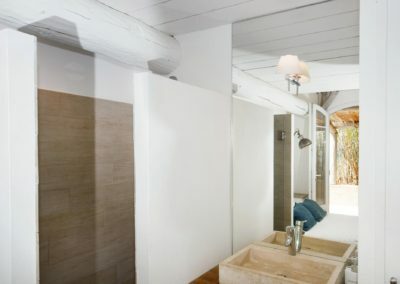 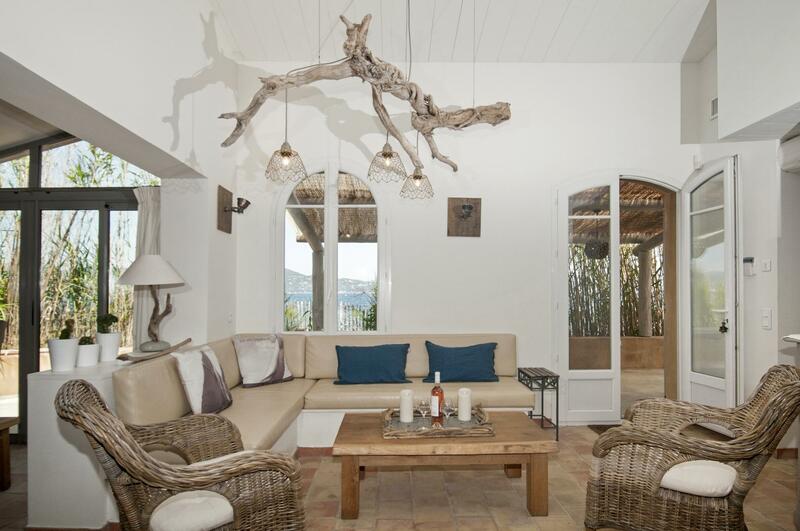 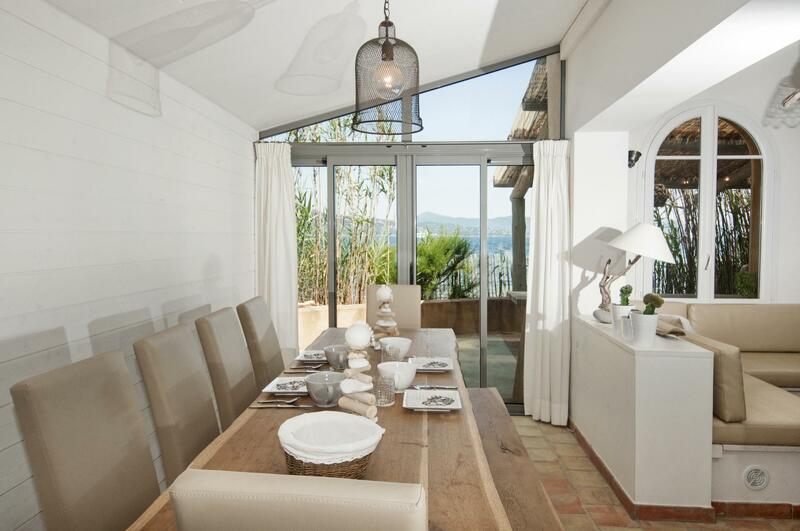 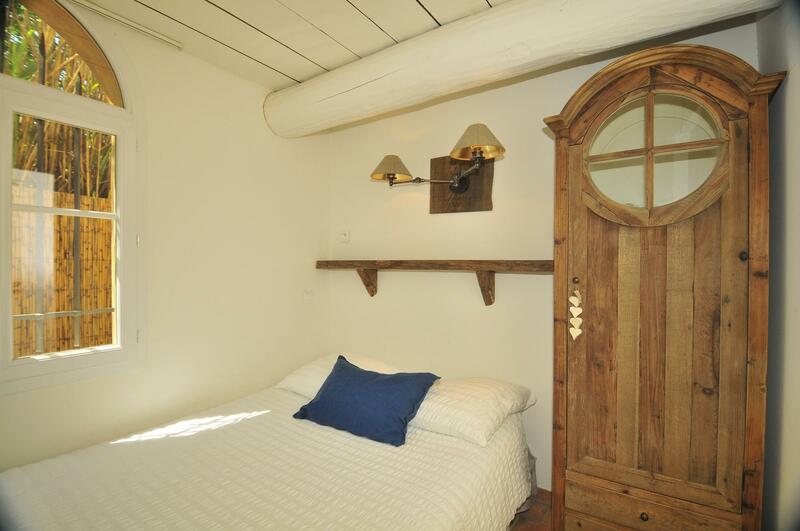 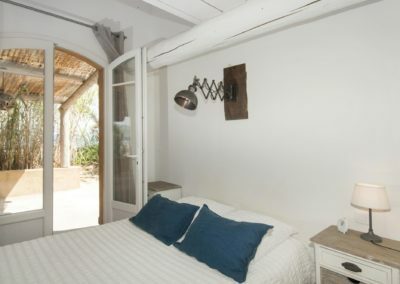 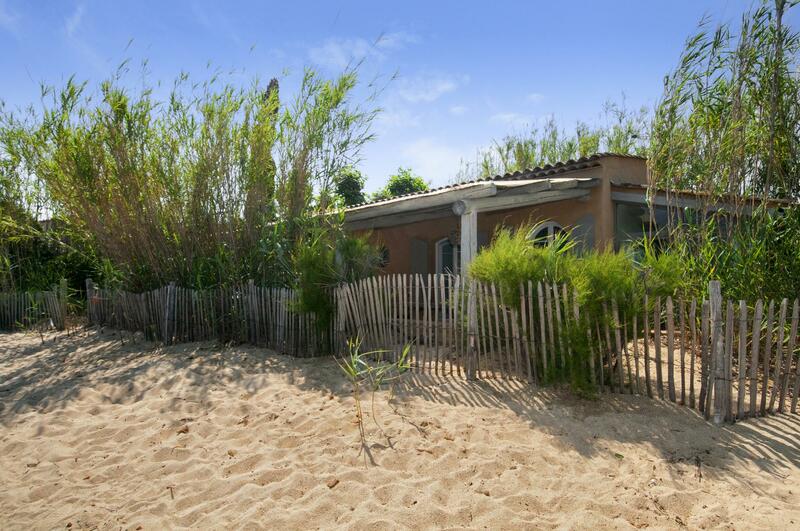 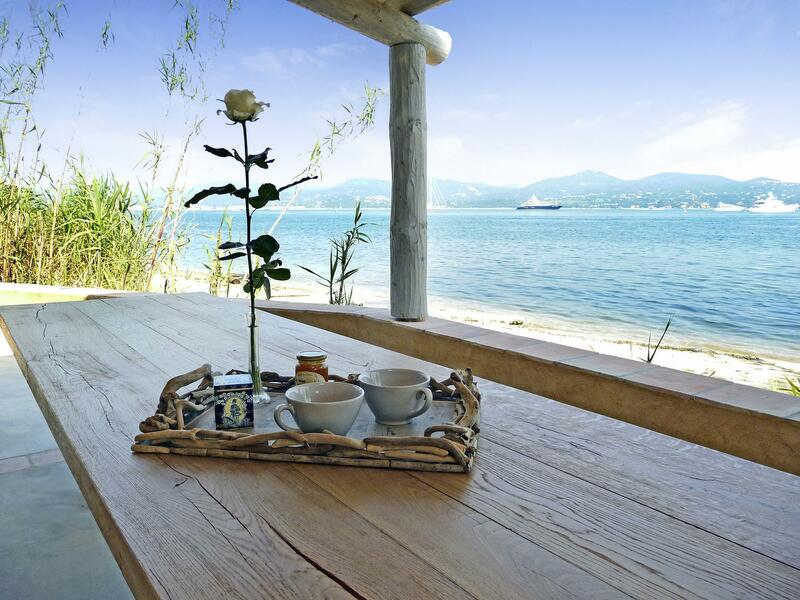 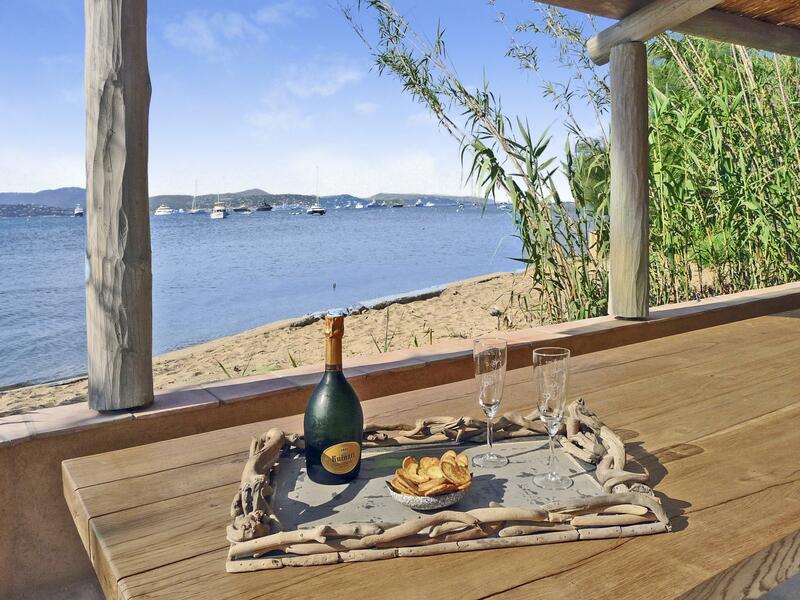 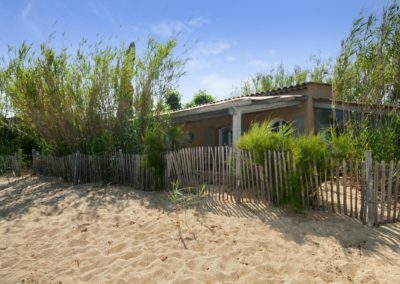 St Tropez renovated cottage on the beach – Originally a fisherman’s cottage, built on a strip of sandy beach on the edge of St Tropez, Littoral Bleu is a delightful property affording uninterrupted sea views across the entire bay towards Sainte Maxime. 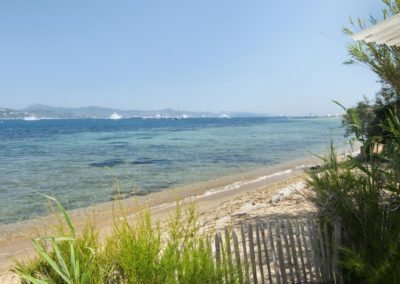 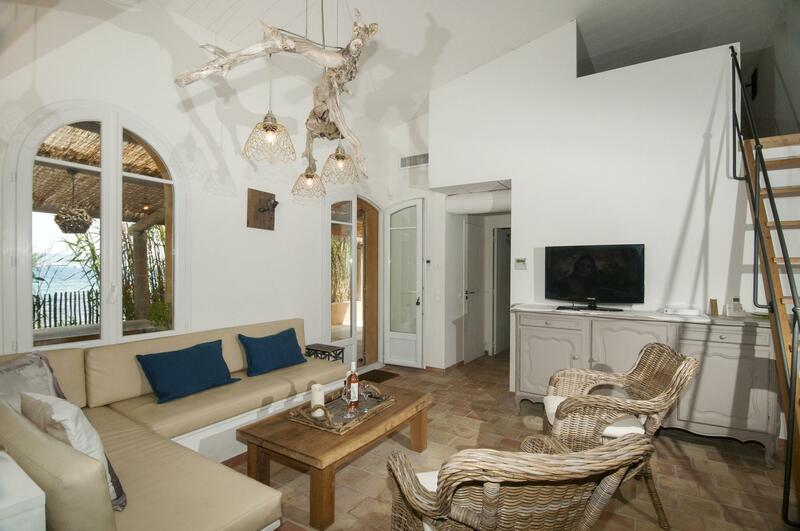 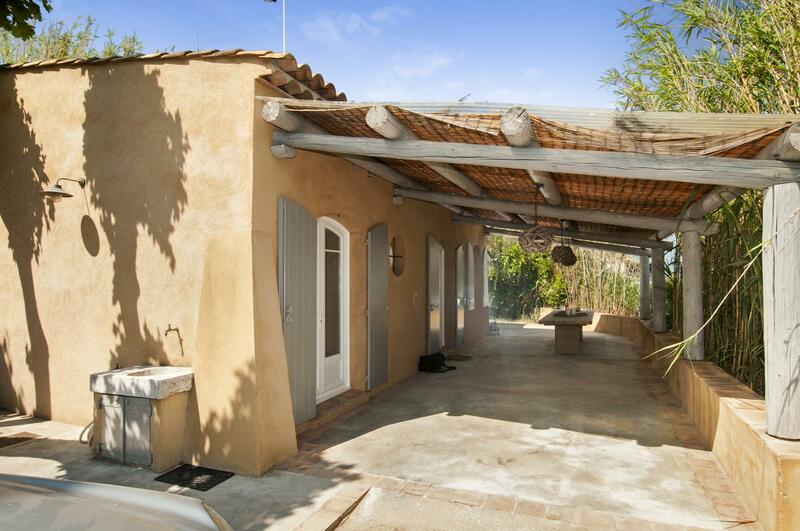 This is a comfortable property for four/five people wishing to enjoy a relaxing holiday in close contact with the Mediterranean surroundings, yet within walking distance of St Tropez’ elegant marina, its lively markets and trendy restaurants. 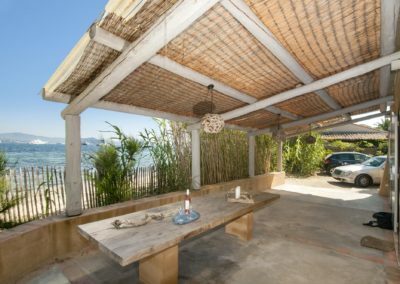 Surrounded by a tall bamboo hedge to preserve the guests privacy, the exterior has the shabby-chic look of the original fishermen’s beach hut, offering the priceless freedom of living by the sea in the most exclusive area of the French Riviera. 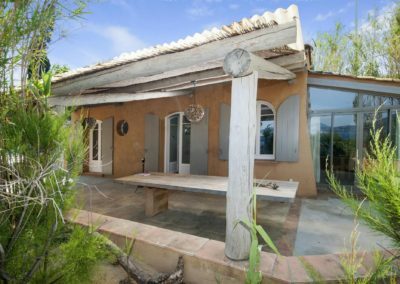 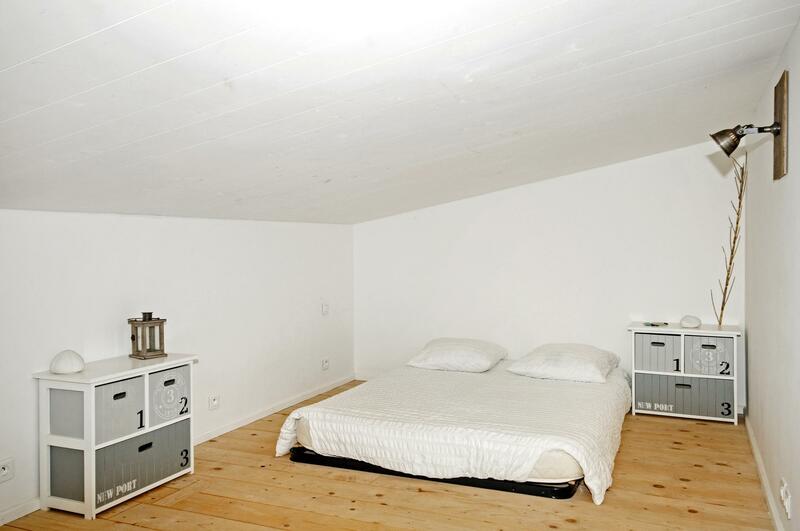 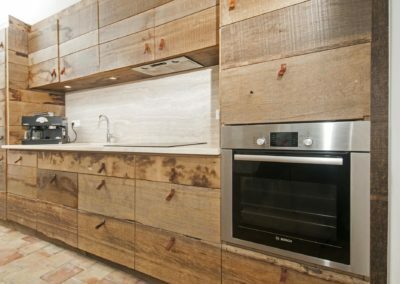 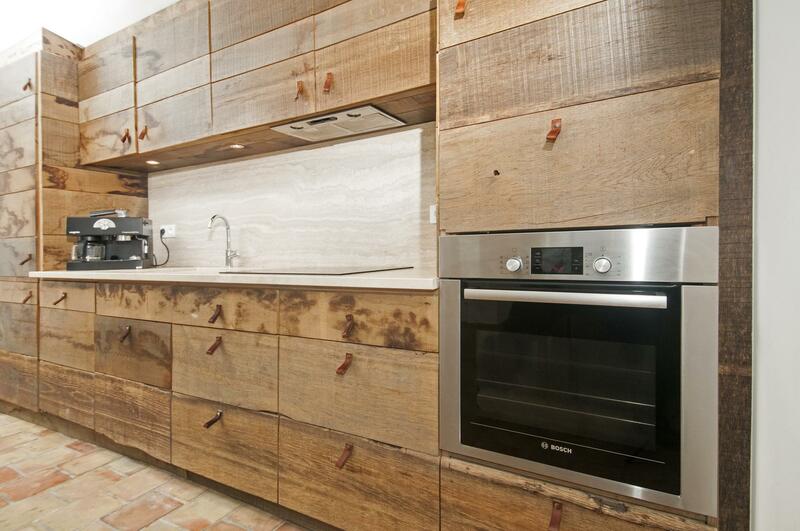 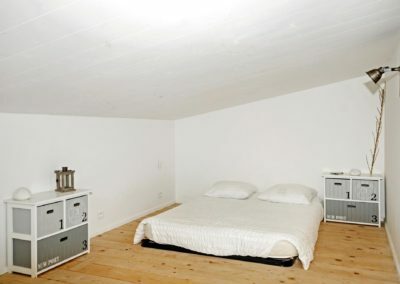 The interior of this cottage has been entirely renovated and simply furnished in a contemporary style with open plan living space and the modern comfort of air conditioning. 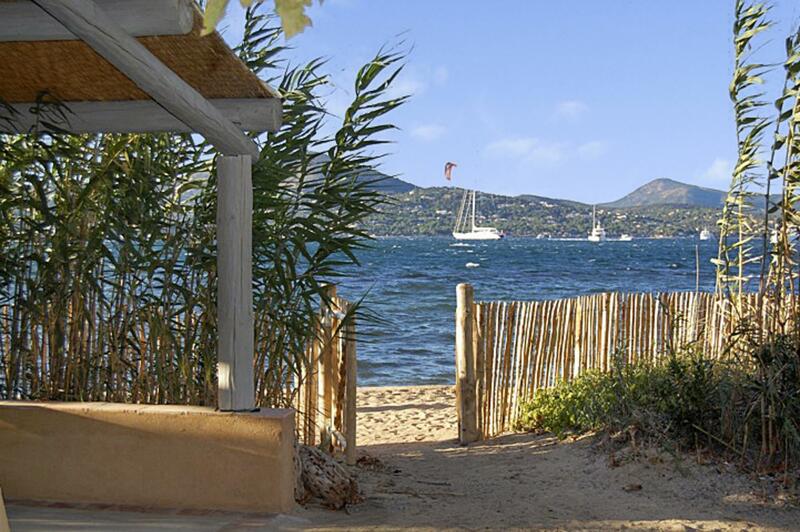 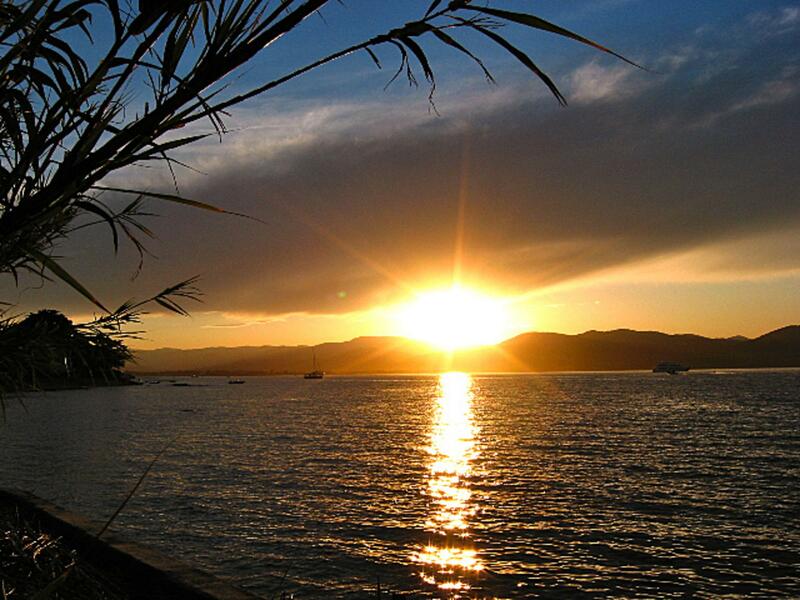 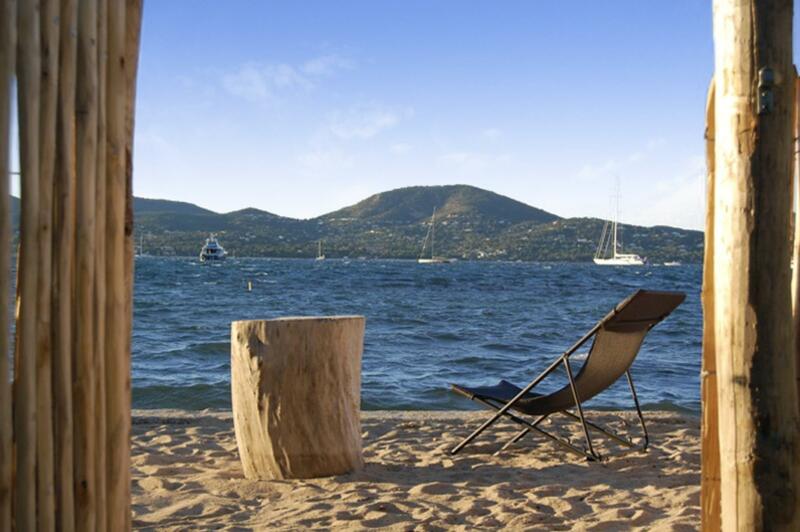 Within just one mile of Littoral Bleu is the picturesque Port of St Tropez. Far from having lost its original character, the charm of the old fishing port remains undiminished, with its cheerful parade of colourful seafront houses, pavement cafes, small shops and fishing boats; elegant yachts moored in the bay offers visitor a further appeal. 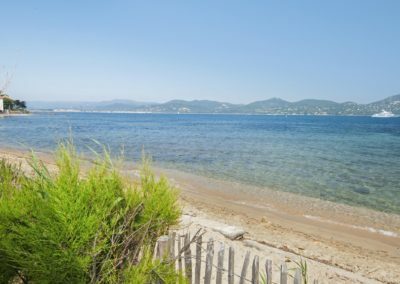 Across the bay, Ste Maxime is easy to reach by ferry and would make a pleasant trip; you might even be able to spot your villa from the sea. 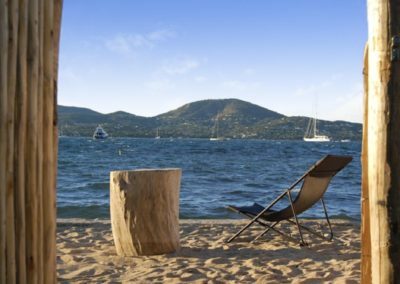 Explorations all around St Tropez may take you to discover some pretty villages well worth a visit, such as Ramatuelle, Gassin, Grimaud and Cogolin. 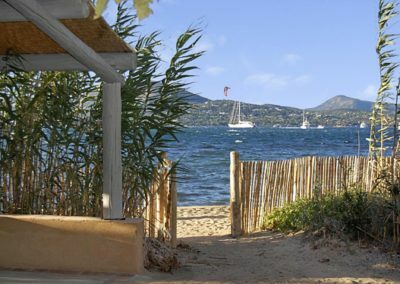 If the beach on your doorstep is not enough, you may want to try a different beach every day; in fact you can choose from a wide range of white sandy beaches and trendy beach clubs; Pampelonne, Escalet, Gigaro or Tahiti Plage are just some of the most renowned on the Tropezienne peninsula, known worldwide for its resident celebrities.